Shop Alesis SR16 Classic Electronic Drum Machine from AMS with 0% Interest Payment Plans and Free Shipping. 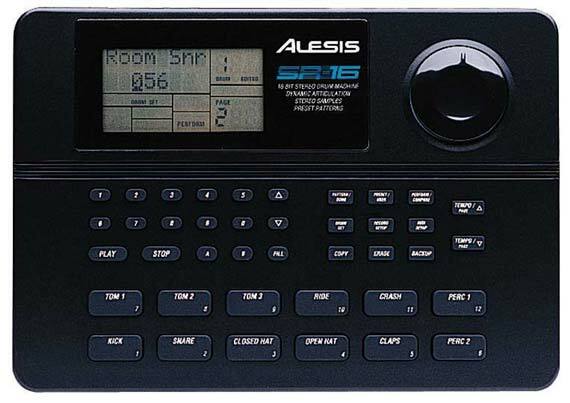 The Alesis SR16 is one of the most popular drum machines ever made. The SR-16 has been used by everyone from songwriters to live performers to remix engineers as their drum machine of choice. The reason is simple: it features a great selection of 233 realistic, natural drum sounds, offered both in dry form and sampled with our incomparable digital reverbs. Our exclusive Dynamic Articulation feature enables a drum sound to change its tonal content as it's played harder for truly realistic performances. The SR-16 features 50 preset patterns that were actually played in by top studio drummers, not just programmed and quantized. You'll find enough built-in rhythmic variations (with A, B and two Fill sections) for composing complete arrangements, and you can create and save your own customized patterns and songs. Plus, the SR-16 also provides complete MIDI implementation, a footswitch input, flexible programming and editing features and velocity-sensitive pad buttons. Plus, it's so easy to use that you'll be up-and-running and composing new music in minutes. Whether you need a songwriting partner or an accompanyist for live performance, turn to the all-time world standard in drum machines: the SR-16. 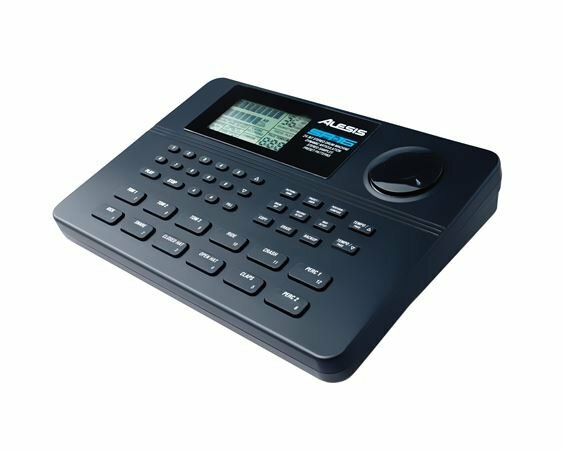 The Alesis SR 16 contains 100 preset 16 bit stereo sounds, many samples with stereo reverb and ambience already on them. It also will accept 100 user patterns. If you dig a little deeper, you find a winning combination of affordability, ease of use and great sound quality. The SR 16 gives you more of what you really want from a drum machine -- drum patterns that sound like they were played by a real drummer, using real drums. Also included are 50 preset and 50 user drum sets. Other features include: Velocity sensitive drum buttons with Dynamic Articulation so that the drums actually sound softer and louder as you hit the pads with varying levels of velocity, 16-voice polyphony, 4 audio outputs, MIDI In and Out/Thru, recognizes song position pointer, start/stop foot switch jack. 1-128 beats per pattern, 20-255 beats per minute and 100 song internal memory. love it great right out of box.so many differ way of having drum set ups. I can operate this machine with ease. I needed to be able to program drum patterns while practicing new grooves on my guitar. Makes it easier to write songs. Perfect for me. After 3 days of struggle we managed to program an entire song. Much more difficult to use that a Zoom RT 223. The manual was misleading and vague. The online videos stopped running when we played them. We got it working by accident. This is the most useful drum machine I have ever owned (This is my third) First one lost it fire, second one given to my church, third one I use for recording at my home. By far the most user friendly one out there, since it is the same unit that came out in the 90's and they haven't changed a thing. Still rock solid and very useful across many different ways of using it. Built i sounds are really good and it will drive any midi sound library out there. Worth its weight in gold. Alesis got it right and haven't changed it or fixed it because it ain't broke!! all has and will always be a good solid writing, performing, machine!! Simply put the best!! no bells no whisles just the goods you need. First AMS Is the bomb..... This drum machine is amazing.. it’s very simple to operate, and you can begin to make drum beats quickly... I love it, and I will use it daily. I bought this Alesis machine for practicing my guitar playing, live performances and possibly do some songwriting.The sound is great and it is reasonably easy to operate. I am old school and not into MIDI yet, so expansion to that world is still an option. Not what I thought it would be. Very disappointed. This machine doesn't have a 3/4 preset. I had a Zoom rt223 that makes this seem like amateur hour. Disappointed. Would not waste my money again. Your keyboard has better samples. Factory Demo 1 A collection of fills, rolls, and drum textures.